Author: IUCN. (2000). (G. Rodriguez, N. Melendez, E. Velazquez, & M. A. Fuentes, Authors). The goal of this series is to ensure that projects achieved greater equity in regard to participation by women and men in the decision-making process as well as in accessing services, goods, and resources. 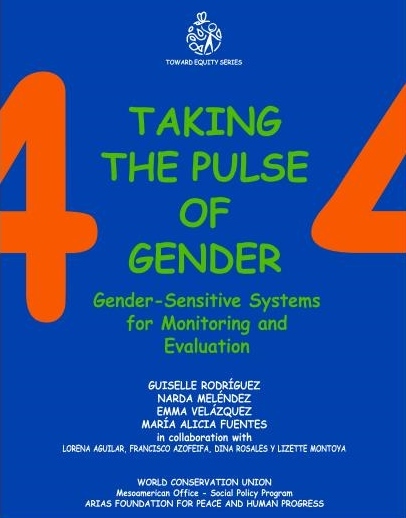 This module looks at gender-sensitive systems for monitoring and evaluation and discusses the significance of incorporation gender equity and stages involved in implementation.